[ demo ] population of Bulgaria, 1926-2011 Country population has decreased with 8% (the size of one relatively larger city). 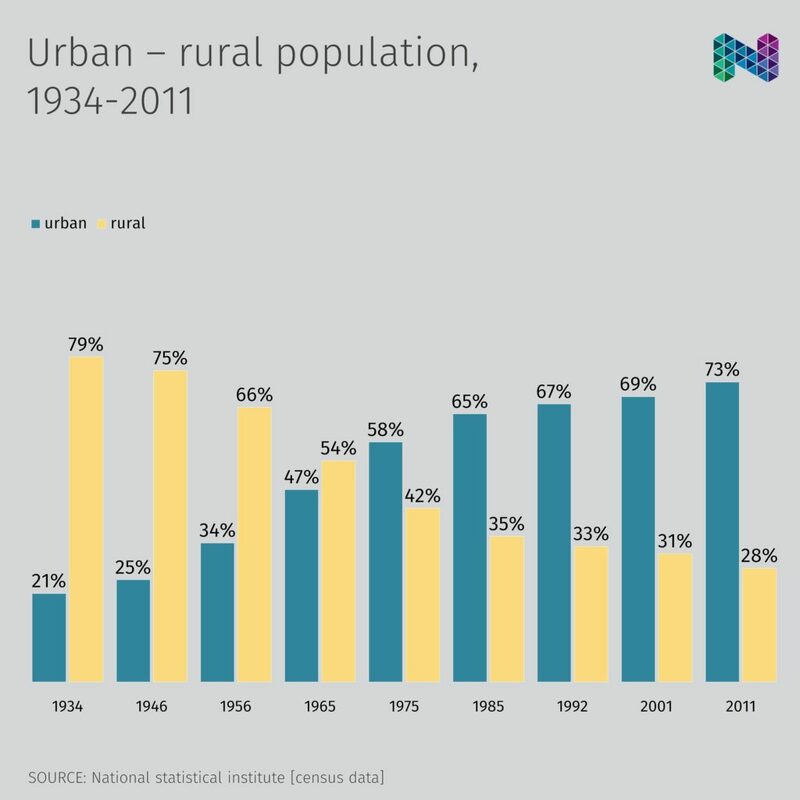 [ demo ] urban-rural population, 1934-2011 Since 1975, urban population has been dominating over rural. 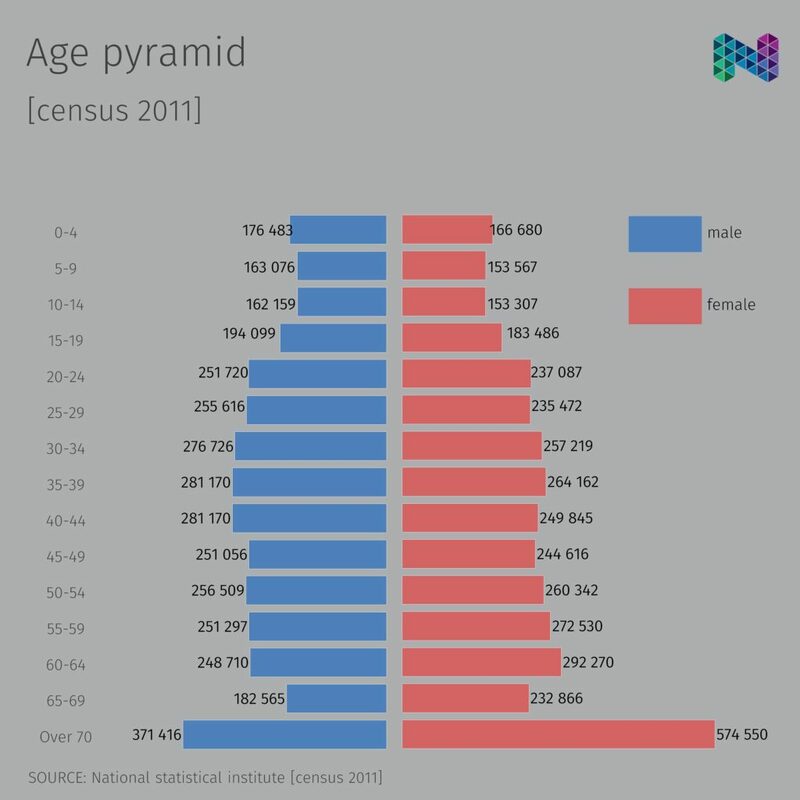 [ demo ] age pyramid Population aged over 70 constitutes 13% of total population. 61% of the elder are females. 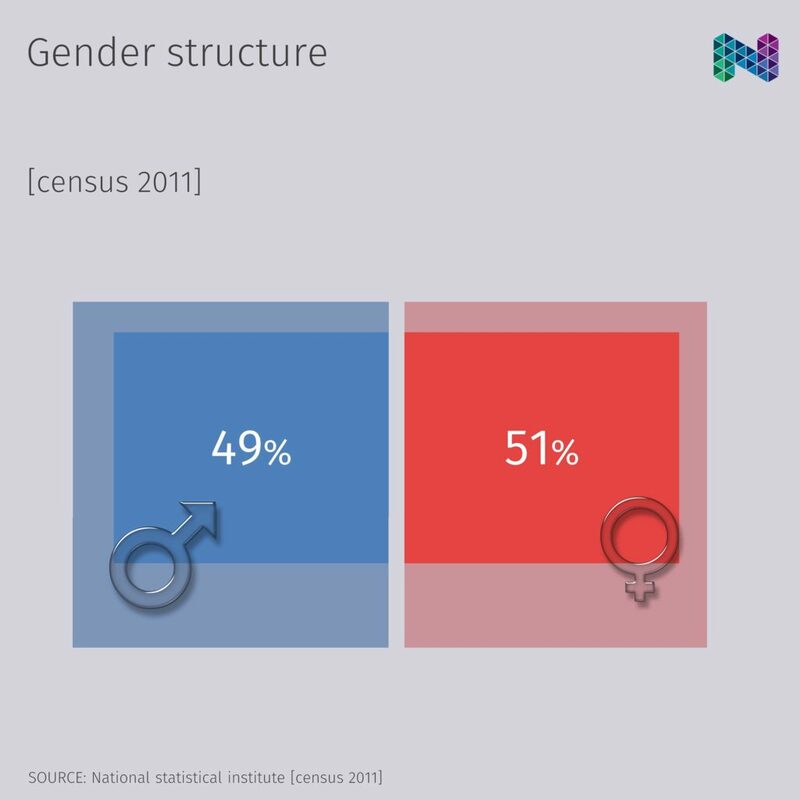 [ demo ] gender structure Males and females are two equal shares – in the country as well as all large cities. 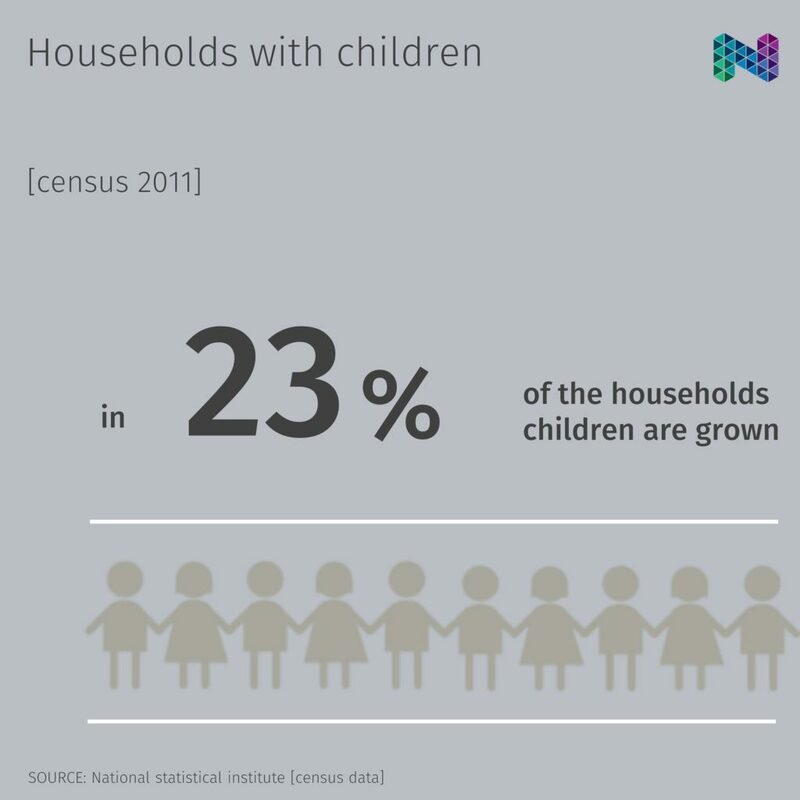 [ demo ] households with children The ratio between households with one child and more than one child is 2 : 1. 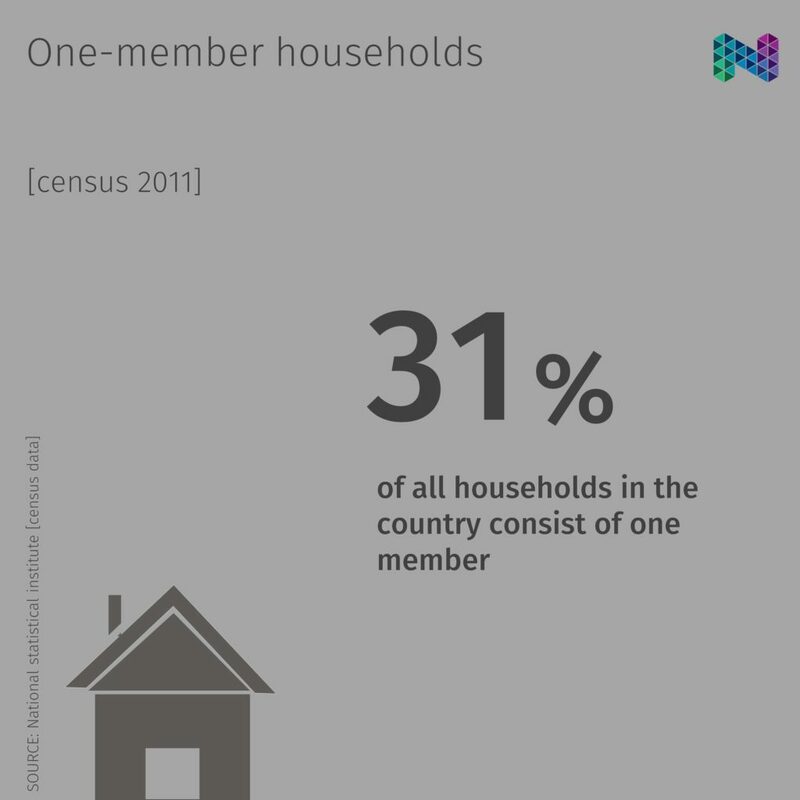 [ demo ] one-member households The capital has the highest share of one-member households (37%). 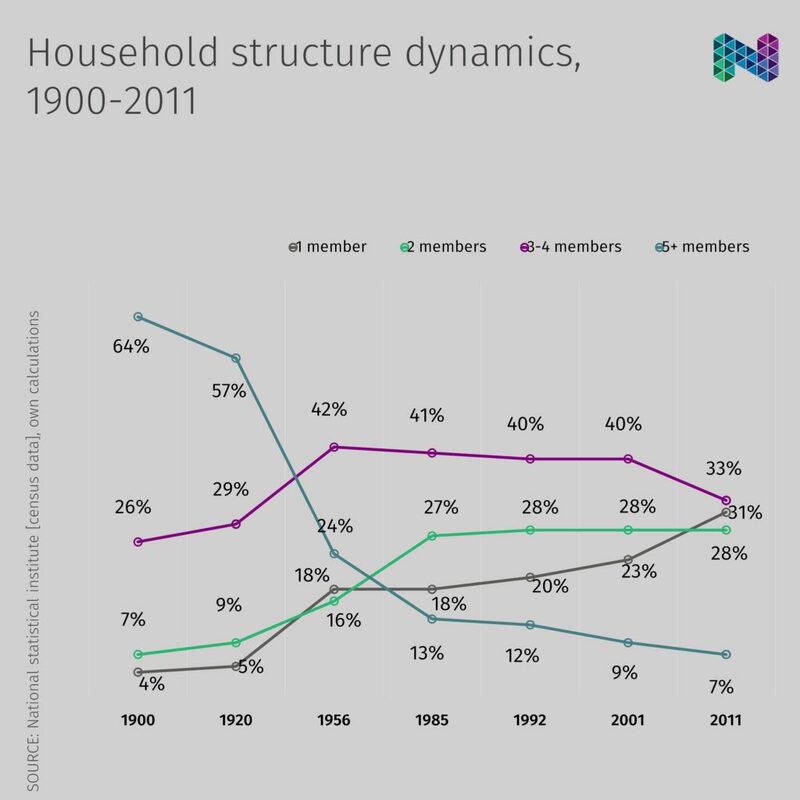 [ demo ] household structure dynamics, 1900-2011 Nearly 2/3 of all households in 1920 consisted of 5+ members. For about 30 years, in 1956, they were over 2 times less. 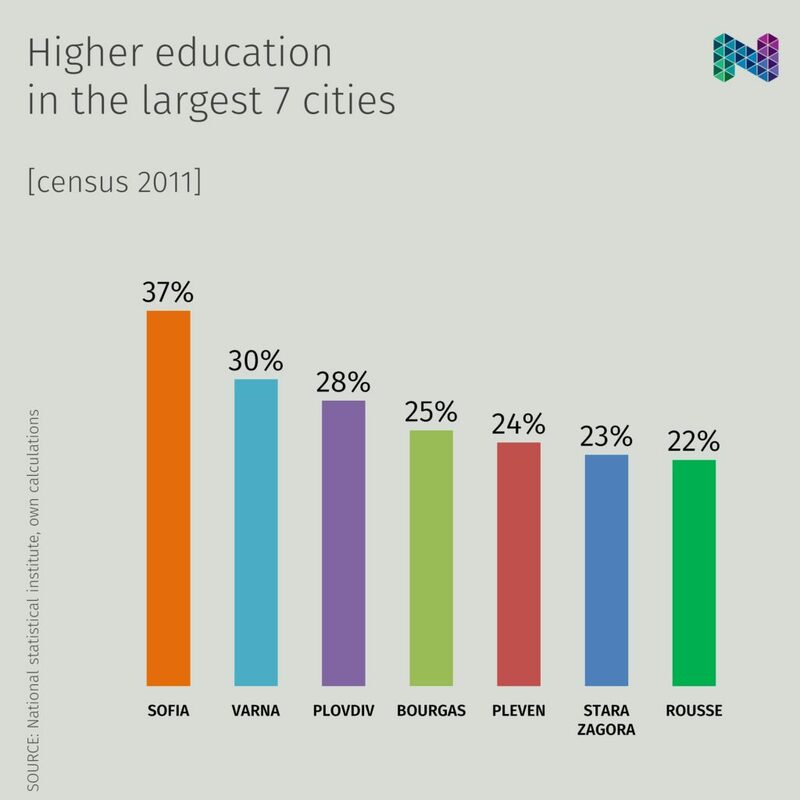 And since then, they have been only […] [ demo ] higher education in the largest 7 cities The percentage of people with university education in Sofia is almost 2 times higher than the country average. 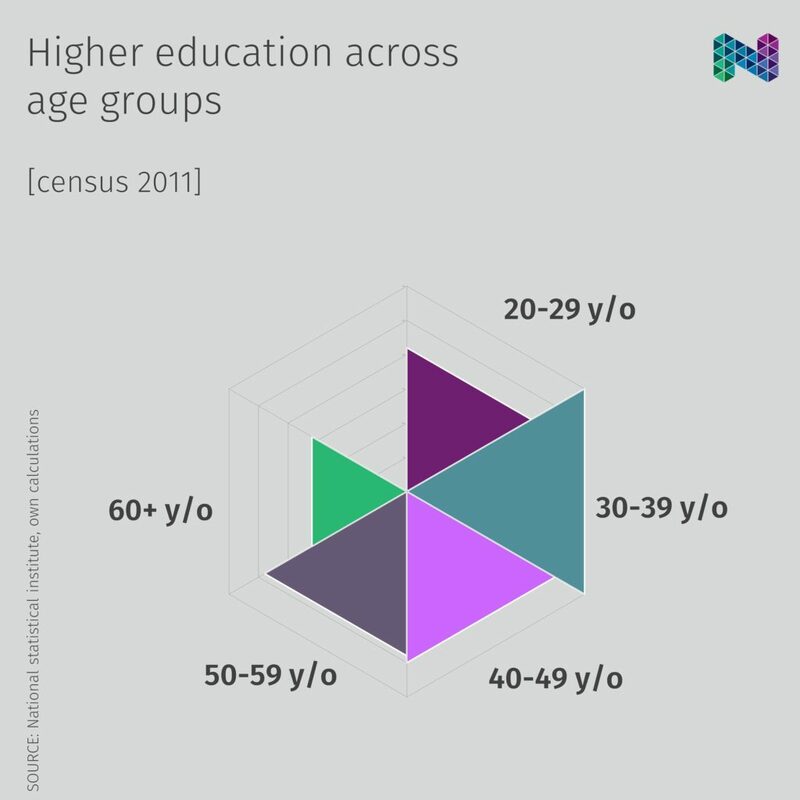 [ demo ] higher education across age groups Mostly educated are the adults 30-39 y/o. 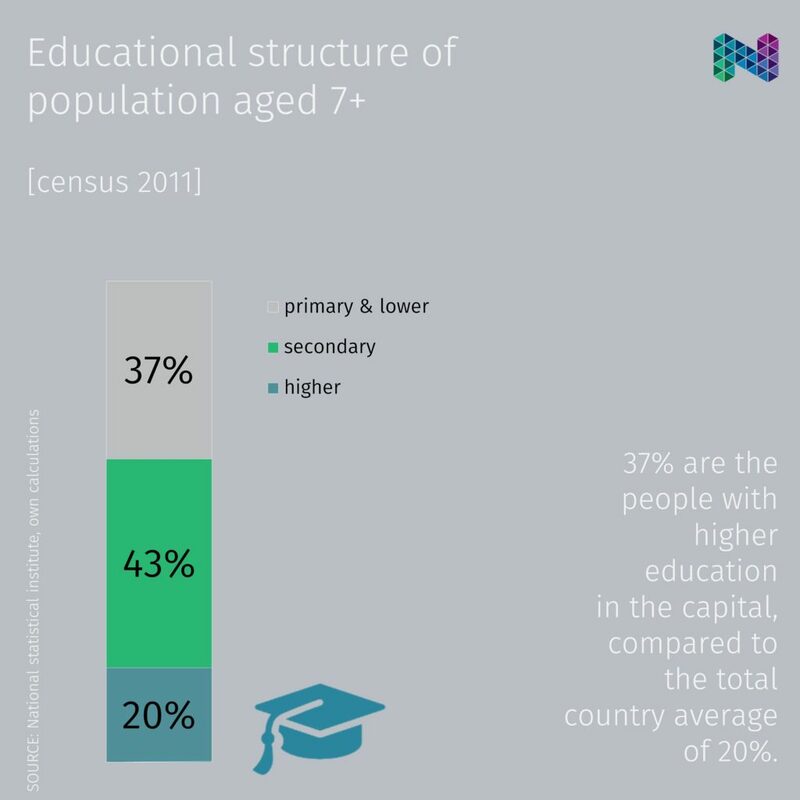 [ demo ] educational structure of population aged 7+ Between 2001 and 2011, the share of university graduates has increased with about 6 points. 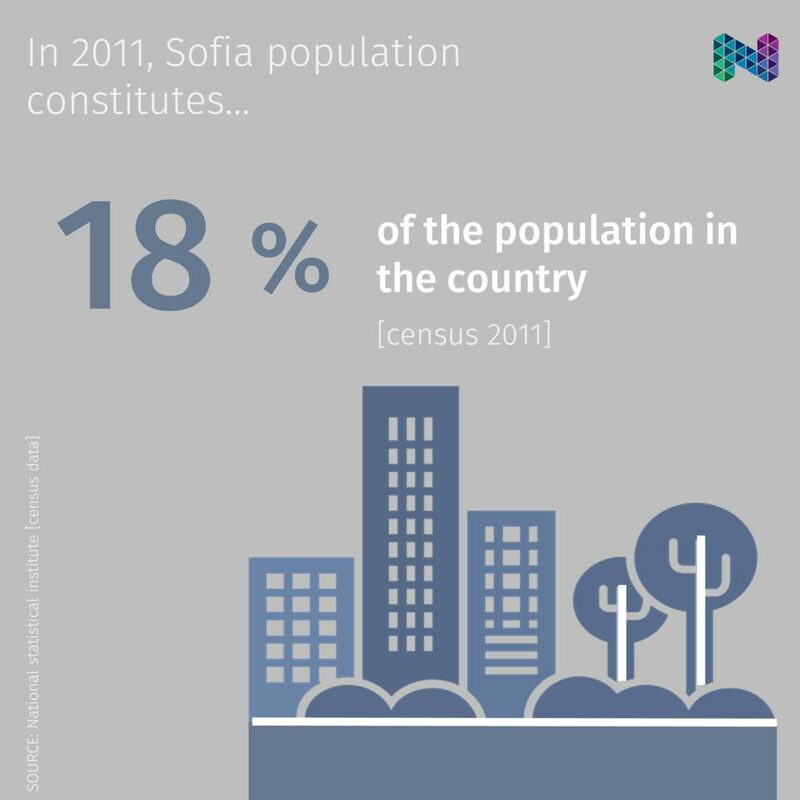 [ demo ] in 2011, Sofia population constitutes… Population of Sofia has increased with 10% between 2001 and 2011. 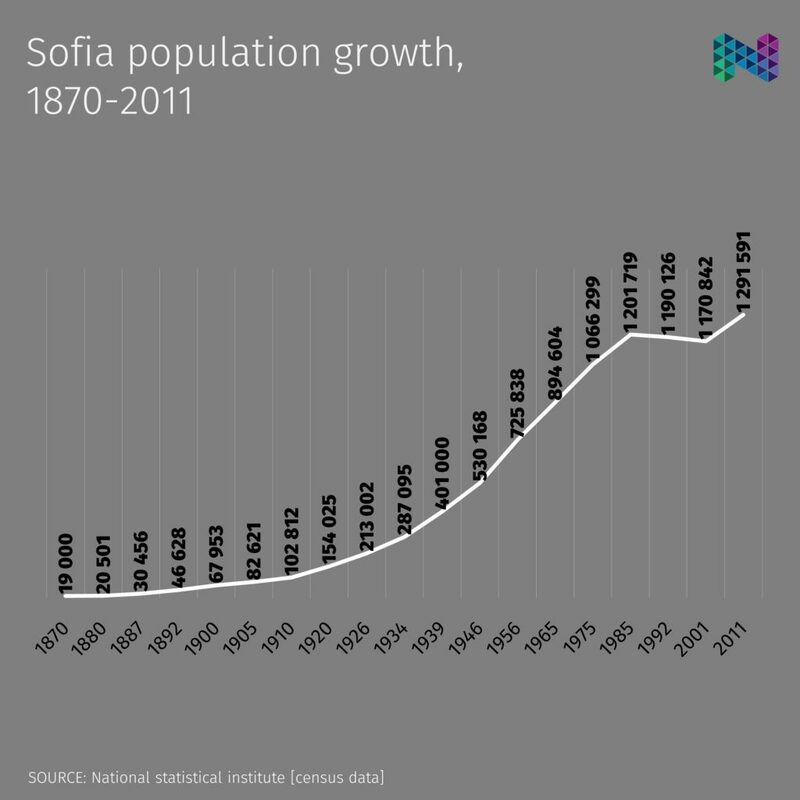 [ demo ] Sofia population growth, 1870-2011 Right after the Liberation, there are 11 604 residents, 2 schools, 7 churches, 30 mosques and tekes, 10 inns, 120 shops, 62 taverns, 19 bakeries and 306 houses in Sofia. 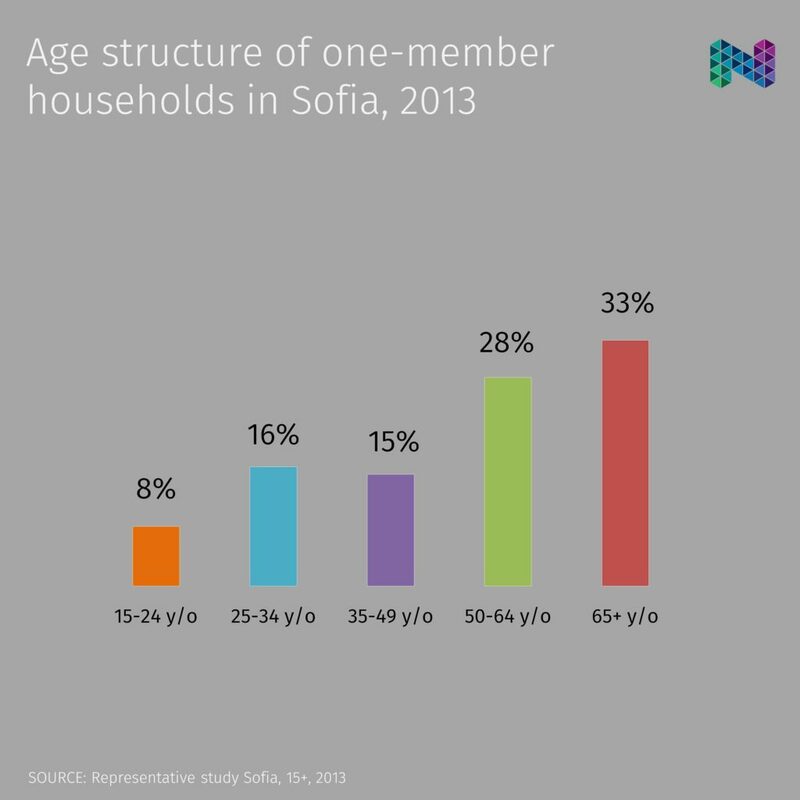 [ demo ] age structure of one-member households in Sofia, 2013 About 60% of all one-member households in Sofia are formed by adults over the age of 50.